Following the completion of several successful transactions in March, the attorneys of Offit Kurman’s Mergers & Acquisitions Practice Group closed another deal for a client of the firm. American Technology Services is an information technology company serving small and medium-sized businesses. ATS provides comprehensive IT support and strategy, including managed services and infrastructure support; compliance, privacy, and security solutions; cloud-based on-premise IT operations; and more. Clients have ranged from associations and nonprofit organizations to financial institutions, government contractors, and professional services firms. Originally launched as a service division of Wang Laboratories, Worldwide TechServices has grown into a leading IT service provider with a global footprint. WWTS coordinates thousands of active service technicians in over 180 countries via a 24/7 global command center, offering complete lifecycle management to many of the world’s largest organizations — including brands such as IBM, Sony, Canon, Dell, and Hewlett Packard. To date, WWTS has completed over 20 million work orders around the world. The ATS transaction is only one in numerous M&A deals that the attorneys of Offit Kurman have been proud to close for clients over the past 18 months. According to Mr. Mercurio, the M&A market today offers rare opportunities for sellers and buyers alike. However, he does not expect favorable market conditions to last much longer. To learn more about current opportunities in M&A, see a recent recap of deals close. Mr. Mercurio has designed, negotiated, and documented numerous corporate transactions and business combinations involving multimillion dollars of value for the acquisition (and disposition of) assets classes of all types as well as equity interests. He has worked with a wide variety of clients including companies focused on cybersecurity, intelligence, information technology, recycling and waste management, government contracting, health care, mortgage and financial services, franchising and restaurant and food services. Mr. Mercurio has repeatedly been listed in SmartCEO’s Best Lawyers, which recognizes the top business attorneys, based on a readers’ poll. 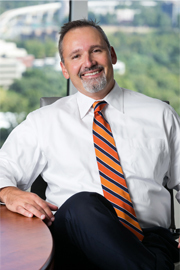 In 2016, Mr. Mercurio was elected to the firm’s board of directors.